David Lockard has been a member of the Antique Automobile Club of America and The Packard Club for about 40 years. He has been inspired by several WWI veterans he has met over the years–especially a former Doughboy chef Joseph Conti, longtime operator of Casa Conti restaurant in Philadelphia. Mr. Conti's reputation was such that he was chosen to prepare a banquet for President Wilson during the Paris Peace Conference. I own 3 Packard trucks (1918, 1919 & 1920). For the past 32 years we have had a 'Packard Truck meet' at our home in York Springs, PA just above Gettysburg. October 14, 2018 marked the final Packard Truck Meet. The 1920 was bought in 1979 as a bare frame & engine needing everything for restoration. I bought that truck from a gentleman by the name of Ralph Gery of Mechanicsburg, PA, who was 90 years old at that time. Ralph had bought the truck in the 1930's in memory of his late brother Edward Gery who was KIA in France just days before cessation of hostilities on November 11, 1918. That was one factor that helped compel me to restore/recreate a WW-I Packard to honor this Centennial of WW-1. Over a 14 year period from 1996 to 2010 a group of us were able to assemble a faithfully reproduced WW-1 3-ton Packard Army truck. That alone is quite a story I can share at a later time. 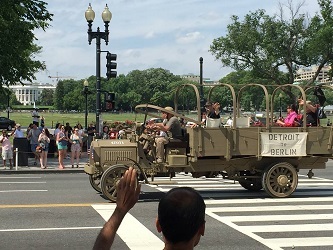 Over time I learned the Packard Motor Car Company made over 40,000 trucks from 1905 to 1923 and during 'The Great War' Packard supplied the US Army alone with 10,000 trucks. Many of our allies prior to the US entering the war purchased so many Packard trucks that in 1915 Packard made more trucks than cars! 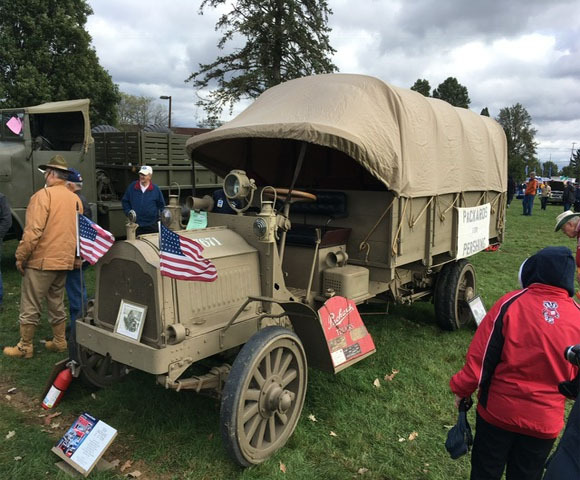 I have truly enjoyed having the Packard Army truck at a wide variety of venues this year to honor our Veterans from 'The Great War' who have now passed on. Well done, Dave. Thanks for remembering the service of our WWI veterans like your old boss Joseph Conti. I remember seeing one when I was a kid in the 1940s it was ancient then. 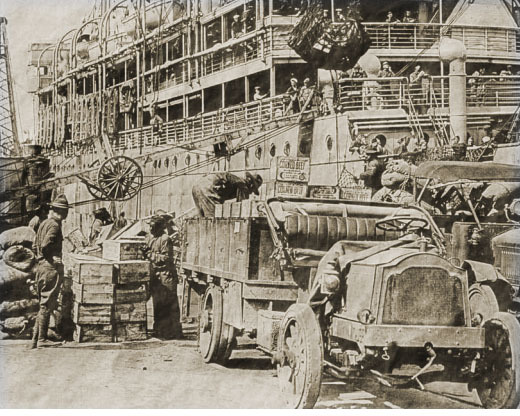 I have a few truck photos taken by my grandfather while in the Medical Corps in France that seem to be the same as shown here. It was interesting to learn a bit more about them. Saw a couple Packard's that were WW1 Vets at the Tank Deborah museum about 3 years ago.